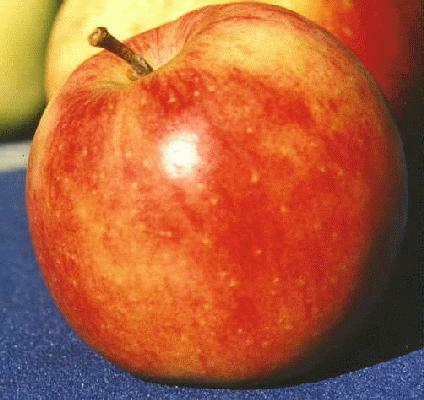 Selected as the best of 600 crosses of Jonathan and Golden Delicious at the New York State Agricultural Experiment Station. Has won several Sunset Magazine "Best Apple" contests. Leading apple in Europe. Excellent balance of acid and sugar. Outstanding for fresh eating, juice, cooking, and baking. Ripens in late September in the Willamette Valley. Much better keeper than Golden Delicious but still not one of the best.